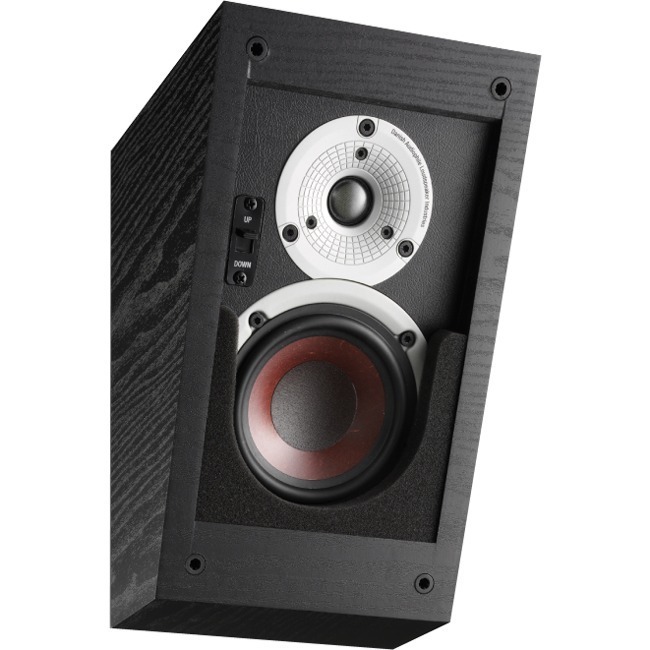 Dali ALTECO C-1 Speaker | Product overview | What Hi-Fi? DALI ALTECO C-1 The DALI ALTECO C-1 is truly a multi-purpose speaker. The perfect fit for adding height information to a surround setup or taking the role as an out-of-the-way stereo speaker. By designing the crossover for stereo use and by keeping a strict focus on DALI sound design principles, we have created a speaker that delivers believable height information from Atmos, DTS-X and Auro-3D movies. DUAL SOUND MODEThe unique angular design combined with the dual sound mode enables this speaker to be used in a multitude of different scenarios. Choose 'UP' on the front baffle switch to beam the sound waves either straight out for a soft downwards angle, or by selecting 'DOWN', beaming the sound almost straight down for close position listening.UP-FIRINGThe angular design of this speaker makes it perfect for up-firing use. Combined with a surround receiver that has the ability to render height information (Dolby Atmos, DTS-X or Auro-3D), placing it on top of the front speakers, and even on top of the rear speakers will offer an excellent ceiling reflected rendering of height information in compatible movies and concerts.WOOD FIBRE CONESOur low-loss drivers uses a mix of low-mass paper cones with wood fibre reinforcement. The embedded wood fibres give the surface an uneven structure, which dramatically minimizes the resonance of the surface. This creates the best possible reproduction of every detail in the audio signal.SOFT DOME TWEETERThe dome tweeter offers best-in-class resolution with an extended frequency response, wide dispersion and low coloration. A clear heritage from our high-end series. The tweeter is based on an ultra-lightweight weaved fabric, which weighs less than half of the market standard (0.056 mg/mm2).